SHINee's tweet - "#빛나는샤이니 #SHINee #샤이니 @shinee #민호 #MINHO #최민호 #CHOIMINHO 건강하고 안전하게👍 "
-do u know what this single photodoes to my heart?! It makes my heart break then whole again! This hurts my heart a little bit but i know that Minho is gonna do great. COME SI FA A RESTARE IN PIEDI? 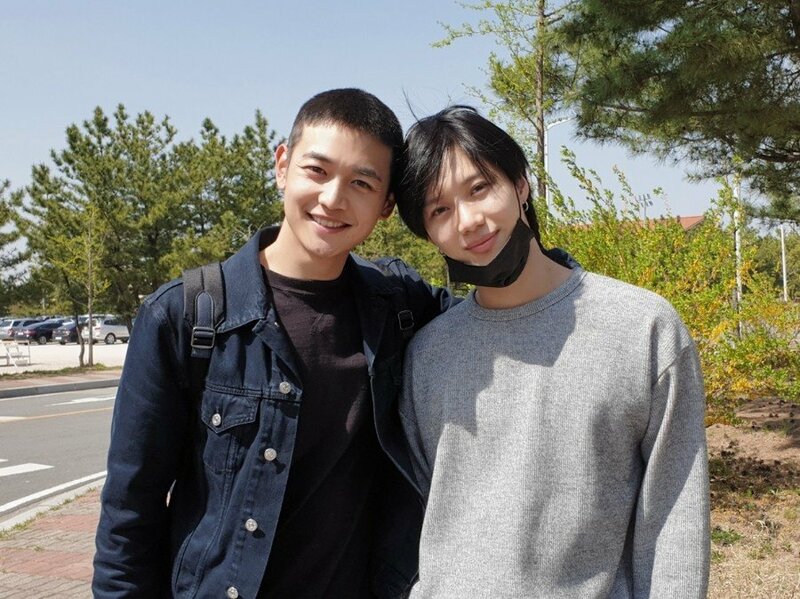 @NaesheimB les bébés regarde les 💖💖💖💖 j'suis soft la tête de taem ! This is bittersweet.... I am seriously out of words. good luck, minho 💙 we'll see you, key, and onew again very soon!!! See you soon ❤️ we love you take care!!! !